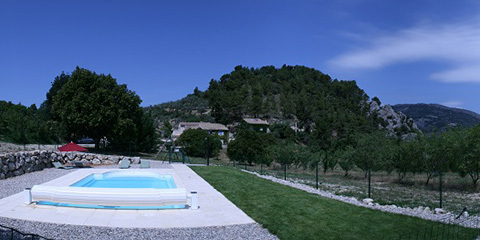 Gîte du Saint Julien in Buis les Baronnies, rental of git with pool in Provençal Drôme France 26,family, group or couple holiday. 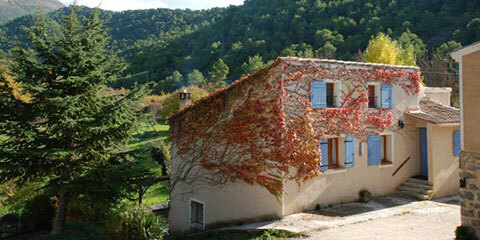 Welcome to the Saint Julien holiday cottage ! You are a couple, a family or a group... Looking for accommodation for one night, one week? We answer all your desires! 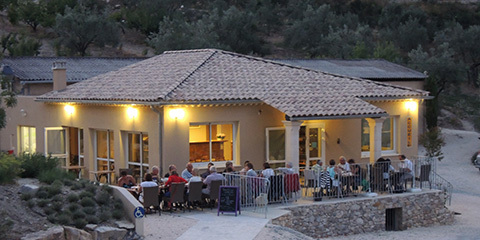 For your short stays, think of reserving your meals served in our farmhouse to fully enjoy your stay in Provençale Drôme. For weekly rentals, a kitchen is at your disposal in each of our two cottages, one with 22 places and the other with 12 beds. Soirée TERROIR & ASTRONOMIE ! A partir de 19h30 - Repas découverte en Ferme Auberge suivi à la tombée de la nuit dune soirée dédiée à la découverte de notre ciel étoilé. Réservation obligatoire. Nombre de places limité. Xavier, Elodie and their children Flavien and Amélie welcome you at the very heart of their family farm, passed on by Xavier's uncle and mother and before them, by their father, Jean Louis who kept expanding the farm. During its installation, Xavier decided to create a cottage for groups in order to specially welcome the sportsmen and women,hikers and climbers who walk the routes of the rocher saint julien and the surroundings of Buis les Baronnies. This was followed by the creation of the second cottage, with private rooms. Twenty years later, a restaurant was built and recently the complete refurbishment of the first cottage. They know how to offer you the best welcome! And what about the environment around them? Stunning, panoramic, quite, natural, rural, mountain, provençal... it is all that at the same time, with the simplicity of the welcome, a family atmosphere, permanent attention.